Columbia chiropractor Dr. Rody brings custom, natural care to patients of all ages. Discover how incredible you can feel without drugs or surgery in our practice! 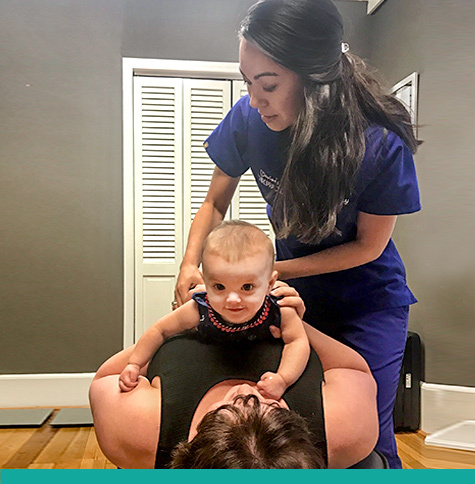 Columbia chiropractor Dr. Rody understands the importance of chiropractic care, which is why she believes in efficient adjustments tailored to your specific needs. Her gentle, individualized approach allows for quick adjustments that fit seamlessly into your daily life. With Dr. Rody, your time is valuable and your health is the top priority. If you’re tired of persistent pain and discouraged by day-to-day limitations, you have come to the right place! 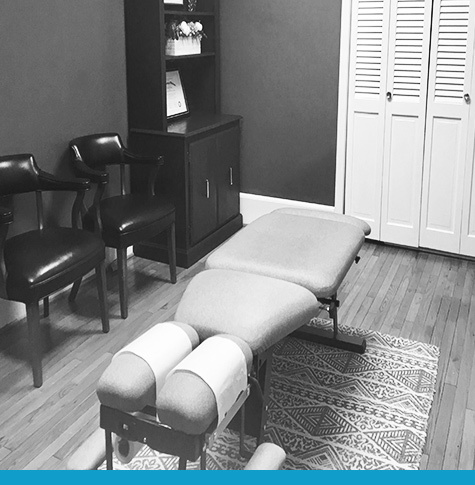 With the help of her passionate staff, Dr. Rody provides her patients with a comfortable, relaxing chiropractic environment designed to enhance patients’ overall experience while offering them a gateway to expressing higher health. At Devine Chiropractic, bad days are nonexistent. The reward of seeing improvement in others is simply too great. All is well when YOU are well. Whether it be alleviating the pain of a patient with a sports injury, helping women with infertility issues, or aiding patients in work-related limitations, Dr. Rody does not hesitate to guide anybody to their fullest expression of life. Her gentle, detailed adjustments are designed to satisfy your body’s unique needs. While most of her adjustments are done by hand, specific trigger work is available if necessary. By way of the initial consultation and first exam, Dr. Rody listens to your concerns, studies your charts, and provides care that works for you. You are her primary consideration. Your health is her central focus. As a former athlete, Dr. Rody has first-hand experience with effectiveness of chiropractic care. In addition to seeing the impact of chiropractic work, she has also felt its power. With one life to live, the human body is a temple that deserves royal treatment. Why rely on medication when there is a natural alternative just as easily accessible? Dr. Rody believes you are worthy of leading care. With the Devine Chiropractic team, you will begin to live your best life. Get back to living the life you love and feeling your best naturally. Contact our practice today to book your first visit! As a pro golfer, I constantly tweaked my back and dealt with severe pain. I assumed it was normal because of my profession but found that chiropractic truly worked. A couple times a year I would be immobilized with back pain but now I have been pain free for 3 years thanks to chiropractic adjustments with Dr. Rody. Dr. Rody takes her time explaining and performing her adjustments. I had instant relief in my neck after my first visit. I was very concerned before, but now after a great phone call and visit I know that I am in good hands. I look forward to my next appointment! Dr. Rody does outstanding work. A constant smile on her face welcomes every visit. I love the fact that I can be in and out of my routine appts within 15 minutes. Her adjustments have greatly improved both my lower back and hips. Thank you Dr. Rody! I broke my neck in a car wreck 23 years ago and my neck hurt every day since then … until the first time I saw Dr Rody at Devine Chiropractic. I got instant relief. It has been a life changing experience for me. Don’t wait like I did.